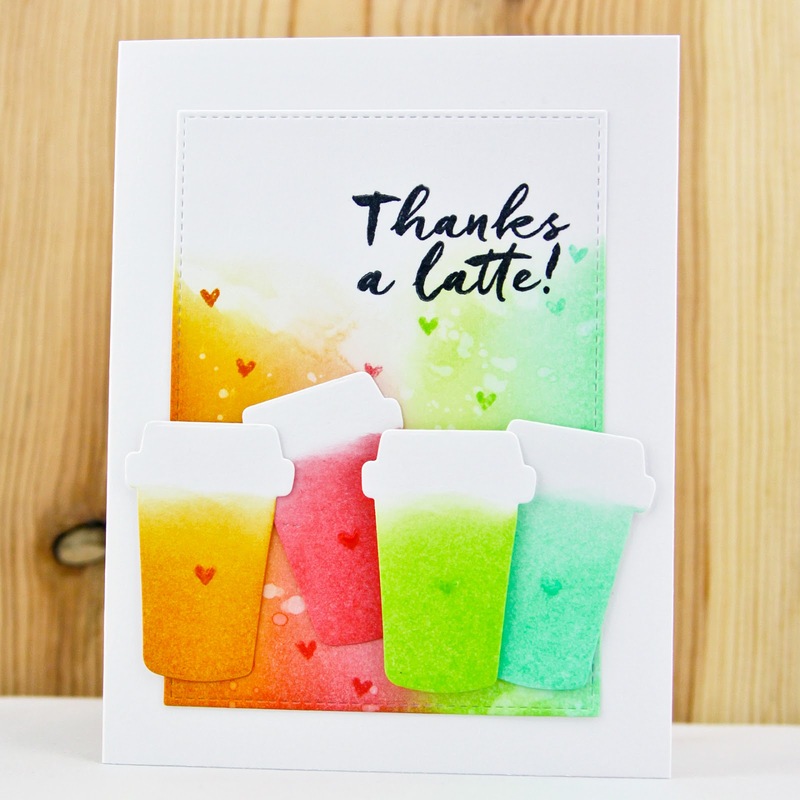 this card is all about blended distress ink in yummy bright colors. i used bristol cardstock because i love the way the ink applies so smoothly. i applied all the colors to the bristol, sprinkled it with water and lifted a little color from the top with a clean paper towel. i die cut the to-go cups from bristol as well and used the ink blending tool to apply color. 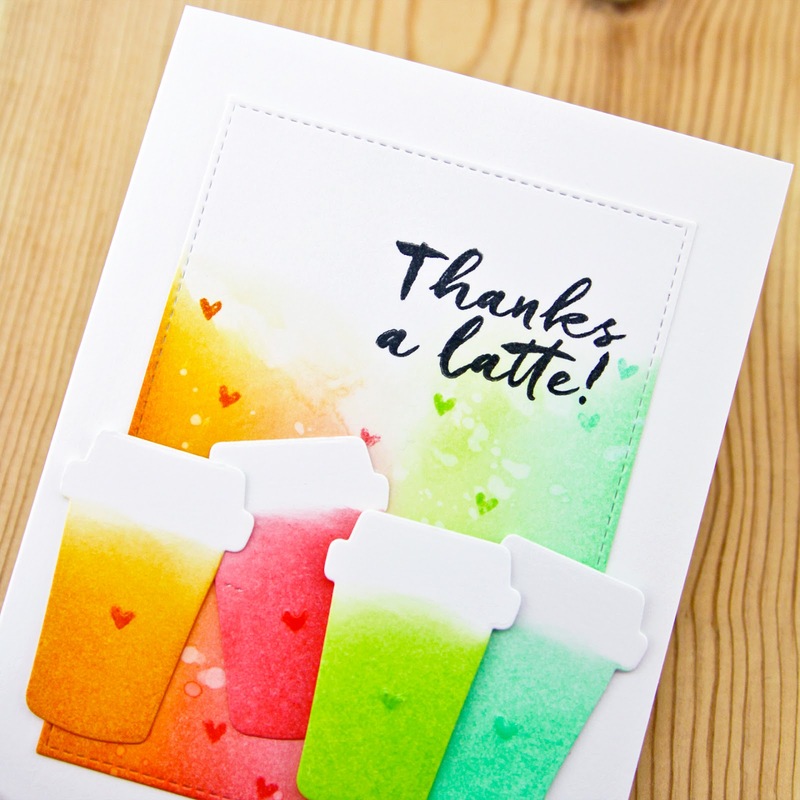 and i stamped the little heart in matching colors and then topped the hearts on the cup with glossy accents. happy thursday! thanks for stopping by!